2017 Winners of Chezy Champs! As part of an eventful weekend, we hosted Chezy Champs, our annually hosted offseason FRC tournament at Bellarmine College Preparatory, in our hometown of San Jose, CA. 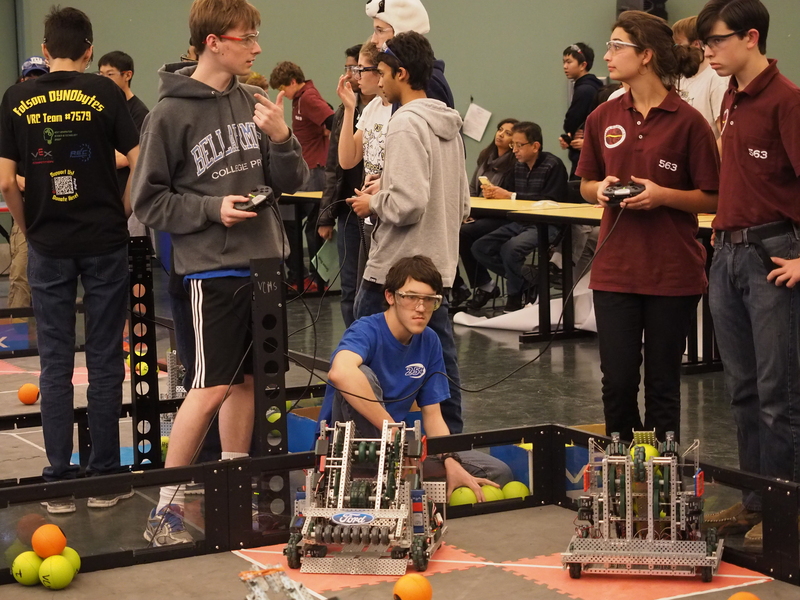 We had a great time jumping back into action with our robot, Misfire, before the start of the 2018 FRC Season. 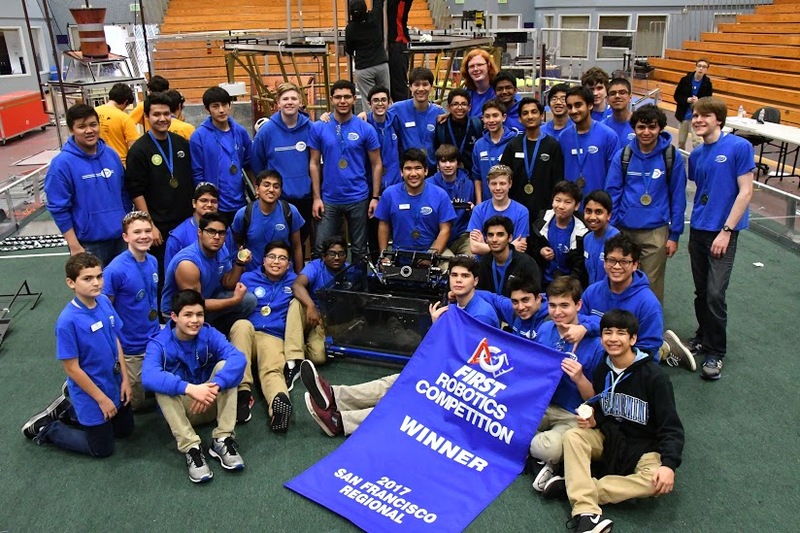 Alongside, FRC Team 1011 Team CRUSH, FRC Team 696, Circuit Breakers, and FRC Team 5104 BreakerBots, we were able to win the tournament! 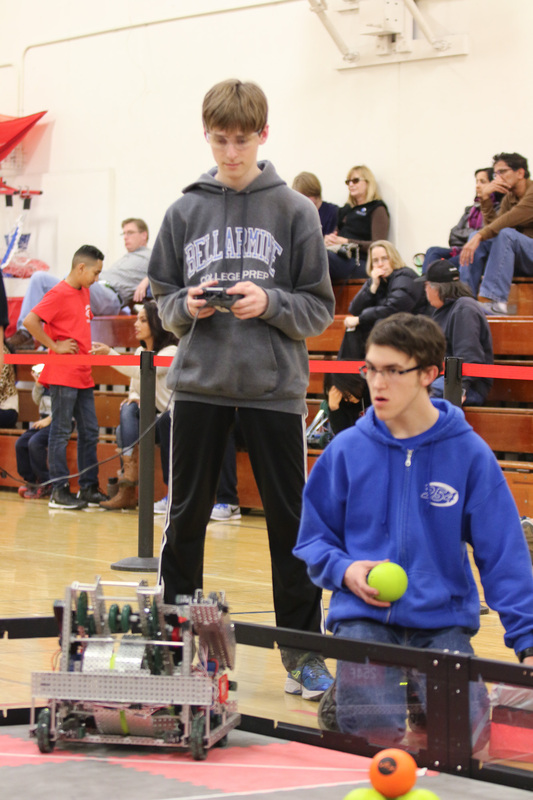 Check out this great highlight reel made by RoboSports Network (RSN)! 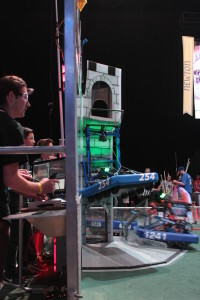 The Red Alliance started off with a significant lead by scoring 50 fuel balls into the boiler, making it an amazing show for the audience to see 3 robots scoring fuel into one boiler at once! 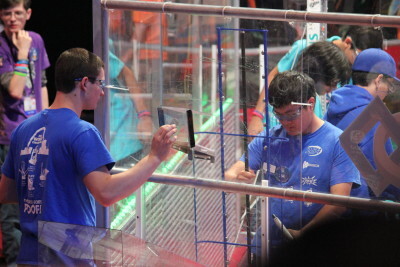 Eventually, the Blue Alliance slowly started catching up with the Red Alliance by consistently scoring their collected fuel into their boiler. 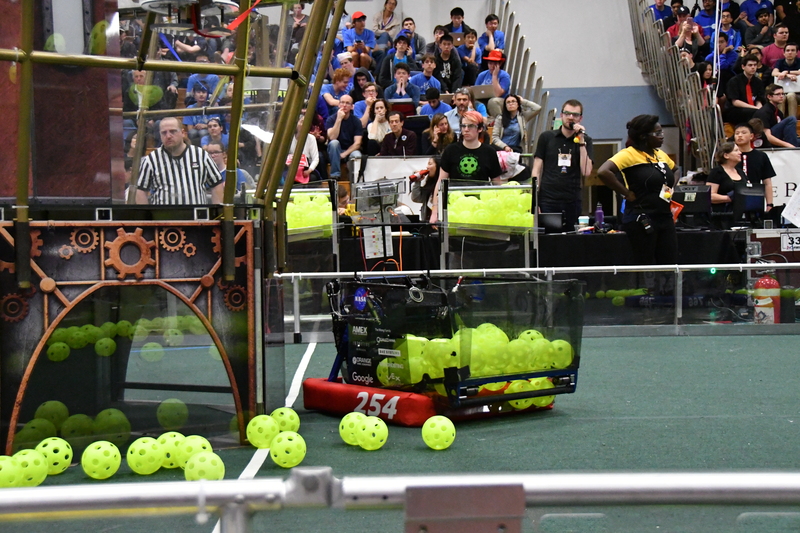 With a minute left in the match, the our friends from Team 973 displayed their true defensive skill by blocking Team 1323’s path across the field. Though the Blue Alliance’s efforts were equal to that of the Red Alliance, the Blue Alliance was unable to keep up with the pace of the Red Alliance. 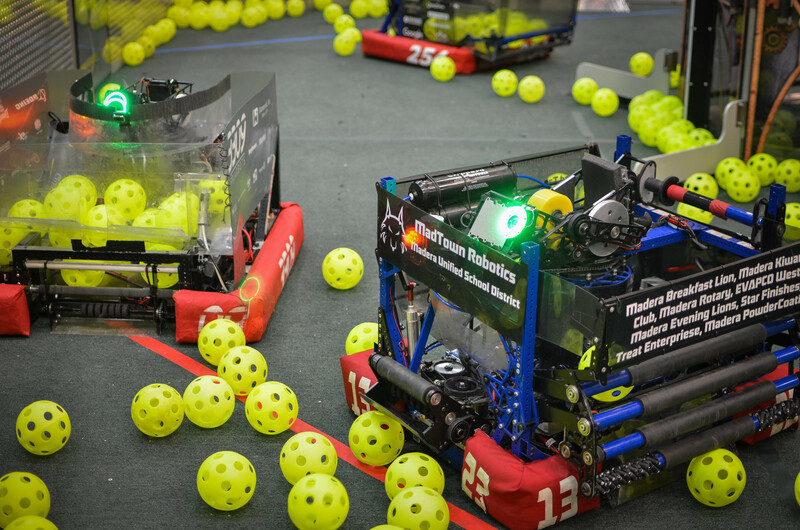 After the great efforts shown by both alliances, the Red Alliance came out to be the winner scoring 203 kPa compared to the 97 kPa scored by the Blue alliance. The Exhibition Match Video can be viewed here. 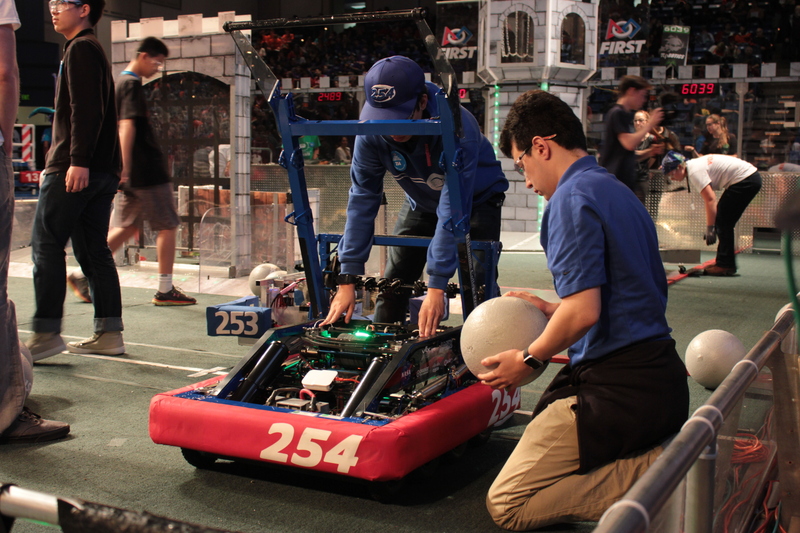 Throughout the qualification matches, we encountered a few mechanical problems with our gear grabber, hopper, and drivetrain and a few problems with Misfire’s autonomous performance. After some careful observation, we realized that our gear grabber’s knife-edge was worn out, so we replaced it with a new piece of polycarb. Our stationary hopper panel kept colliding with the field hoppers, which tore our hopper wall. We replaced the broken hopper panel to solve this problem. We also noticed a crimp lodged between our chain and sprocket on our drivetrain, so we removed it to make our drivetrain function normally. 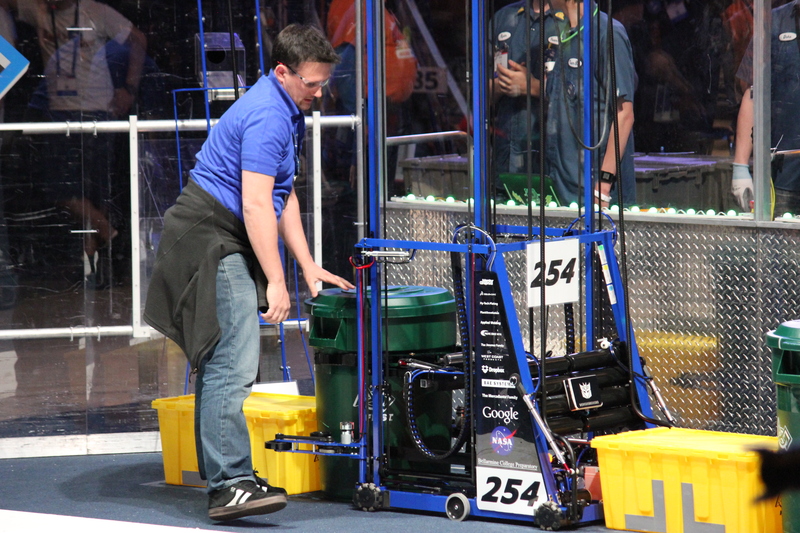 Overtime, our autonomous performance improved after our mechanical changes. 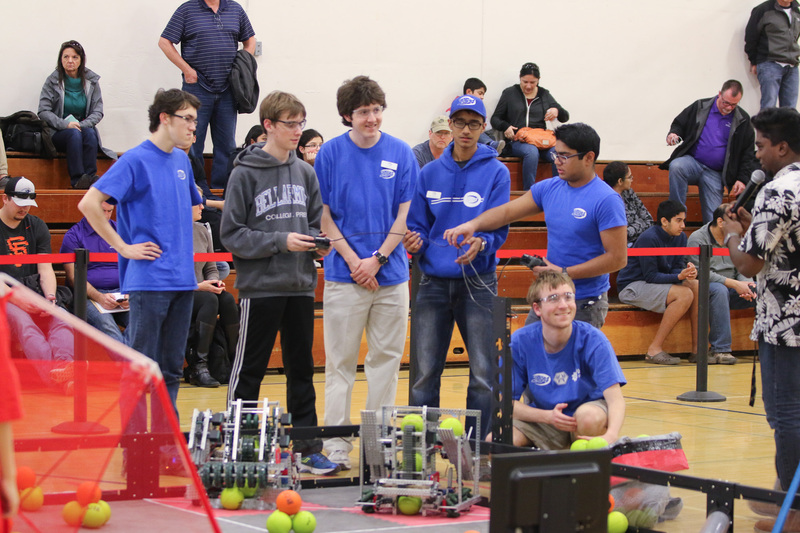 Thus, we were able to seed first for alliance selection after having a qualification match record of 7 wins and 3 losses. 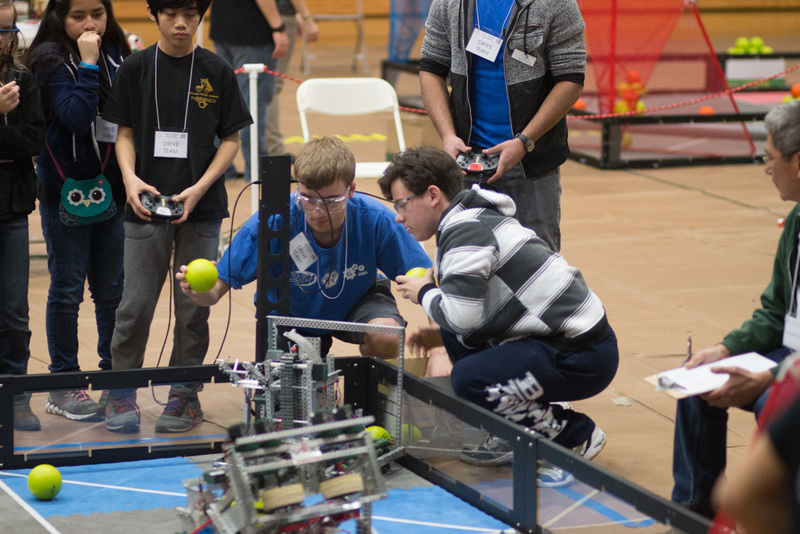 During elims, we faced some fierce competition during our Semifinal and Final Matches. We ended up having to compete in a third tiebreaker match in semifinals and finals. 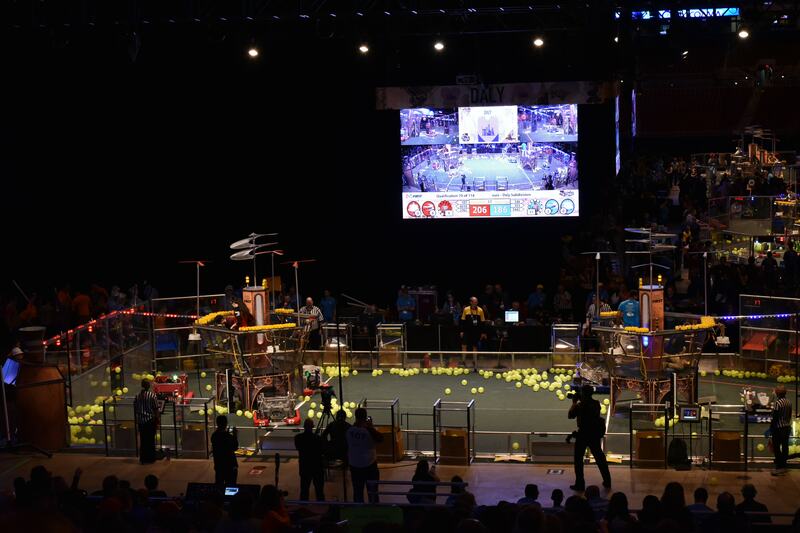 In Semifinals Match 2, the opposing alliance of Team 973 Greybots, Team 1538 The Holy Cows, Team 604 Quixilver, and Team 2135 Presentation Invasion, scored a large amount of kPa during auton and kept their lead up by activating all 4 rotors! 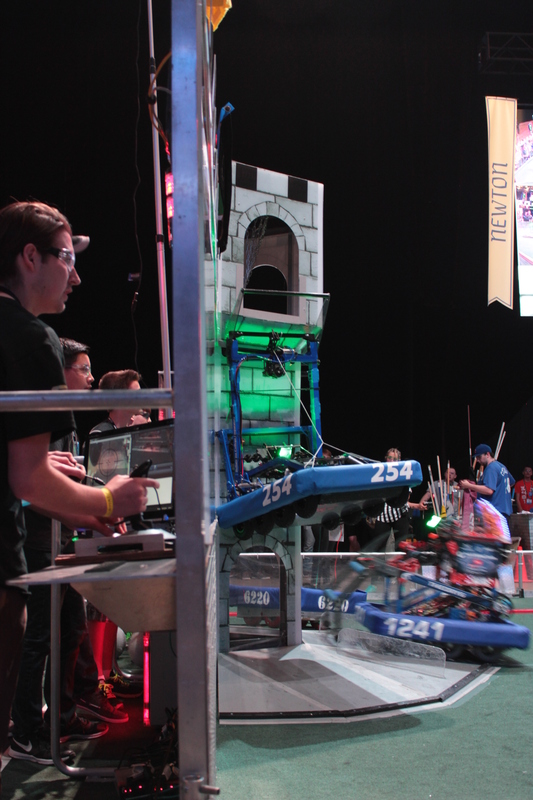 In Finals Match 2, the opposing alliance of Team 1323 Madtown Robotics, Team 3309 Friarbots, Team 5026 Iron Panthers, and Team 2073 EagleForce, displayed their true skill, by keeping a consistent lead, from the start of the match. 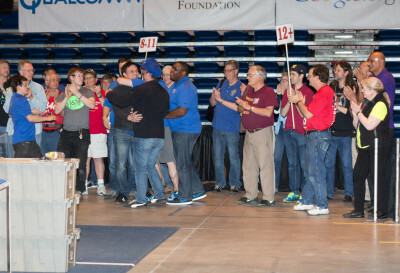 By the end of our elimination matches, we won all of our tie breaking matches, allowing us to win the event with our alliance. 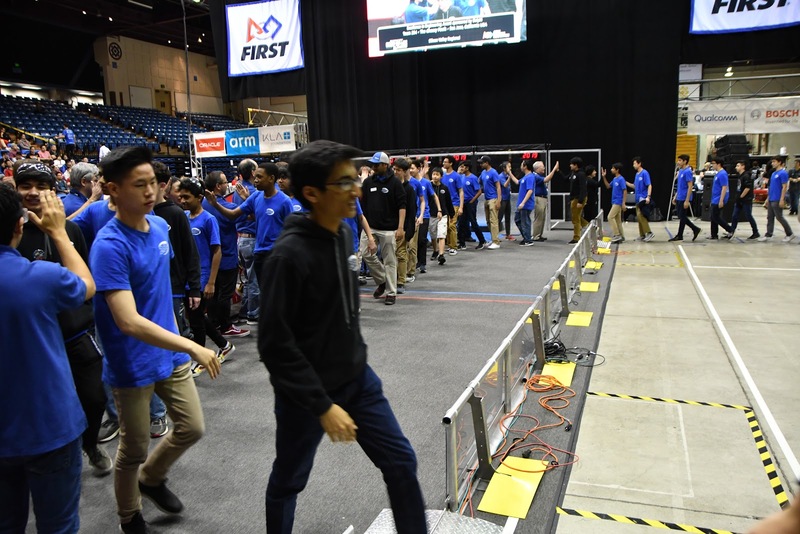 We wouldn’t have been able to accomplish such a victory if it weren’t for our amazing alliance partners – Team 1011 CRUSH, Team 696 Circuit Breakers, and Team 5104 BreakerBots. 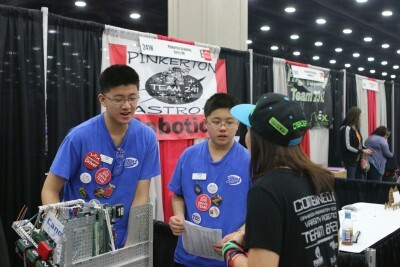 This past week, we attended the FIRST Robotics Competition Championship in St. Louis. 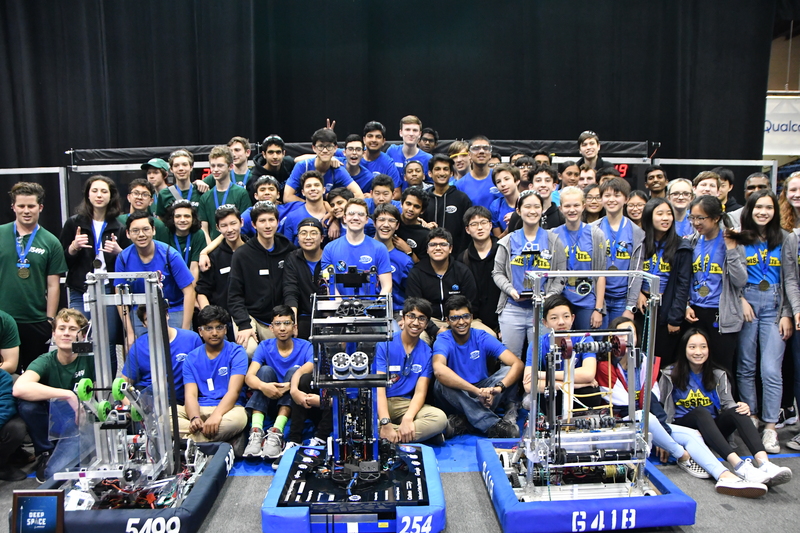 With two Championship events this year, it was hard to decide which to compete at, but we had a great time facing off against teams from the east coast, Canada, and more. 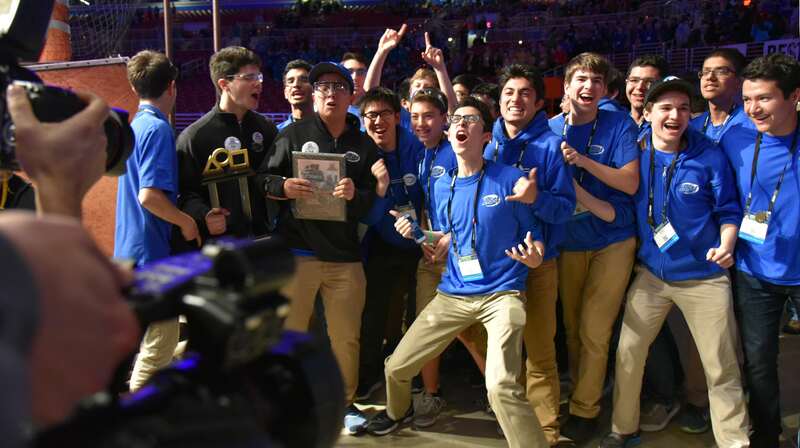 Alongside, Team 2767 Stryke Force, Team 862 Lightning Robotics, and Team 1676 The Pascack PI-oneers, we were able to win the Daly Subdivision finals before continuing on to win the Championship at Einstein. 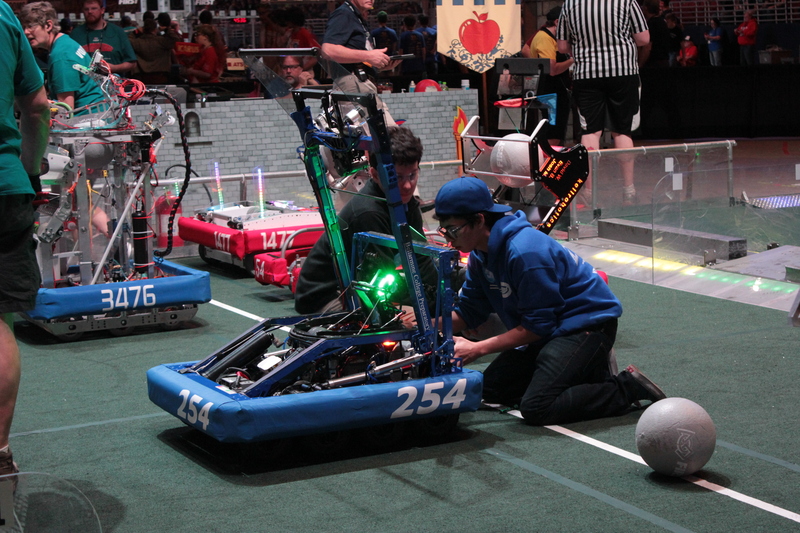 In our qualification matches, we went 7-3 overall and seeded second, with Team 2767 holding first seed. 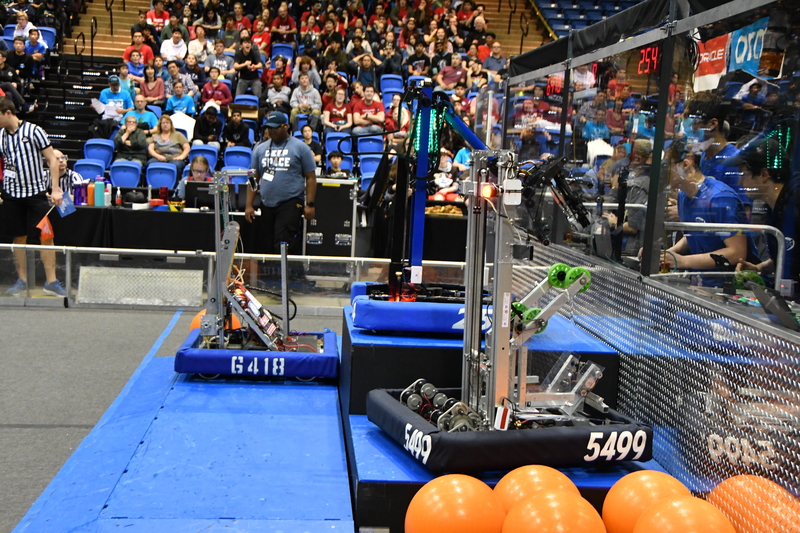 The improvements we made since the Silicon Valley Regional payed off as we hit over 100 kPa during our second qualification game and managed an average of about 381 points per match. Throughout qualifications, we were also regularly able to achieve 40 kPa and activate 4 rotors, giving us enough ranking points to propel us into a high seed. 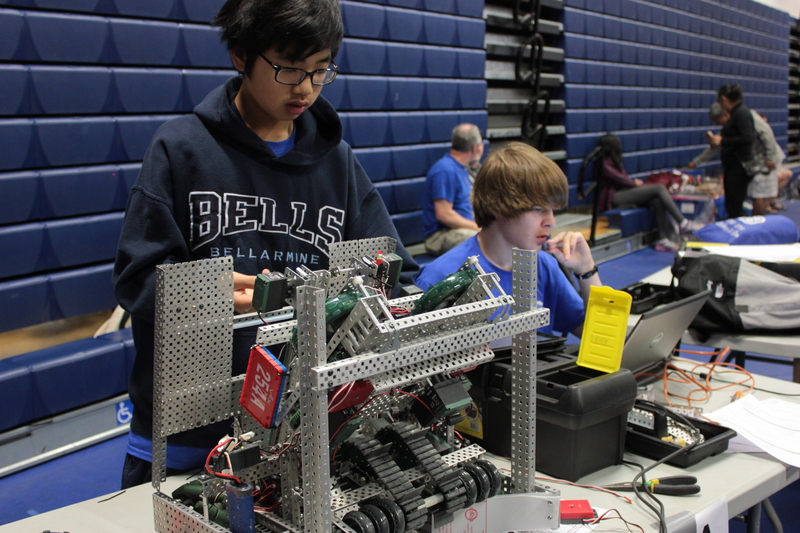 Moving into alliance selection, we joined Team 2767 alongside Team 862 and Team 1676. With a balance of gear and fuel scoring ability, we planned to maximize our points by hopefully achieving 40+ kPa and activating 4 rotors every match. 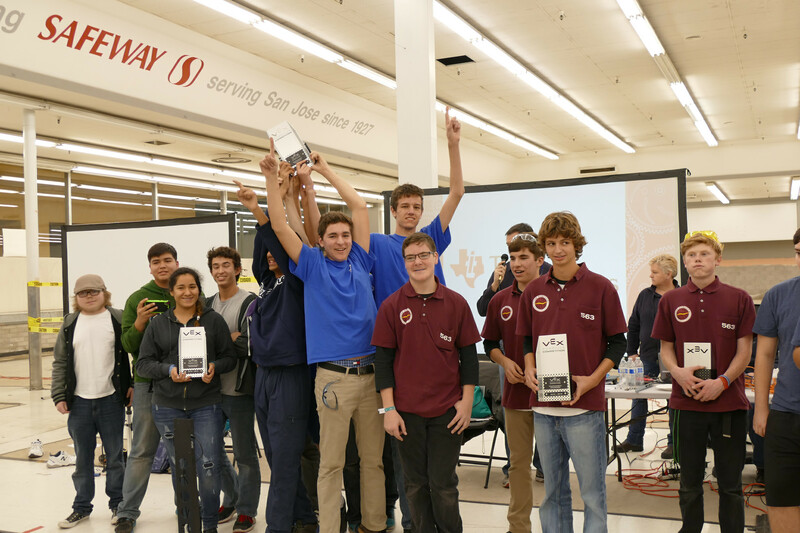 Throughout the Daly finals, we remained undefeated and won against incredibly fierce competition. 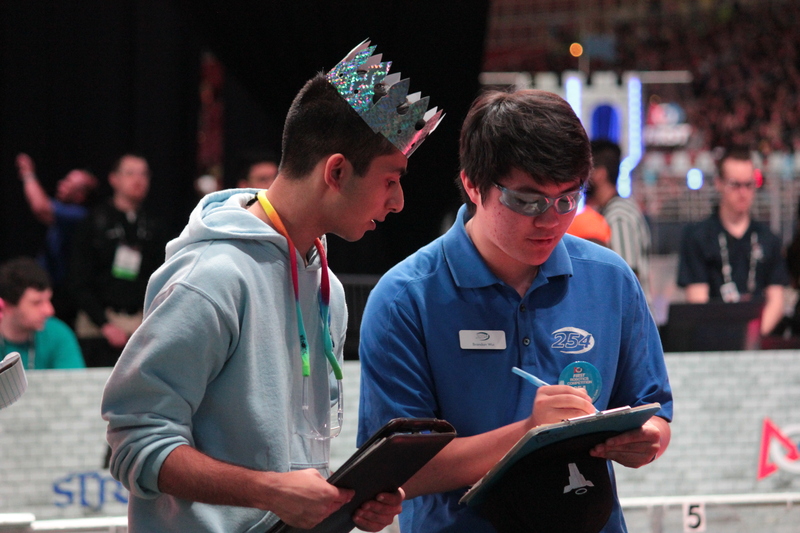 In our first semifinals match, we managed to score a personal record of 550 points! 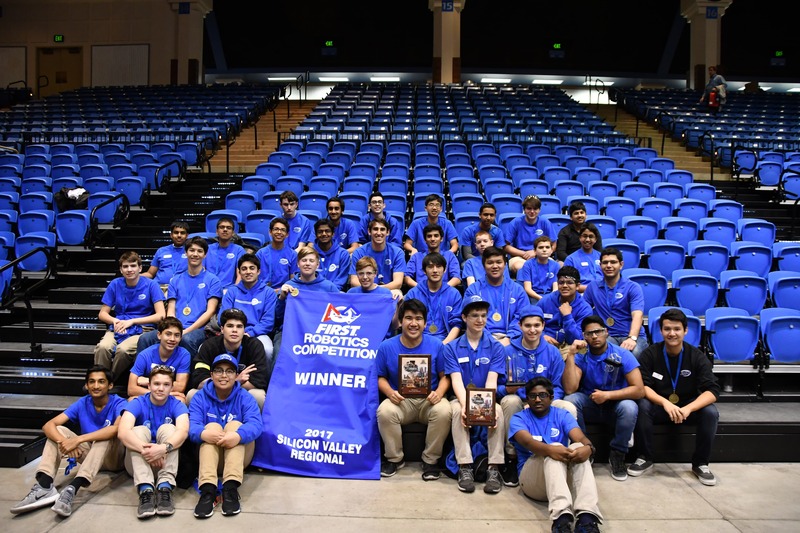 We were also very grateful to have received the Innovation in Control Award, an award we had also received back at the San Francisco Regional. 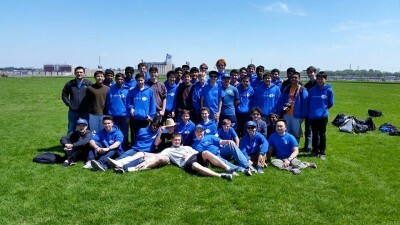 After winning Daly with some very close matches, we were anxious to see how we would perform at Einstein. In a round robin style tournament, we competed against every other subdivision champion throughout 5 matches. We ended up going 3-2 here and seeded second, giving us the opportunity to compete in the grand finals as the blue alliance against the Darwin champions, who had beaten us in the round robin tournament. 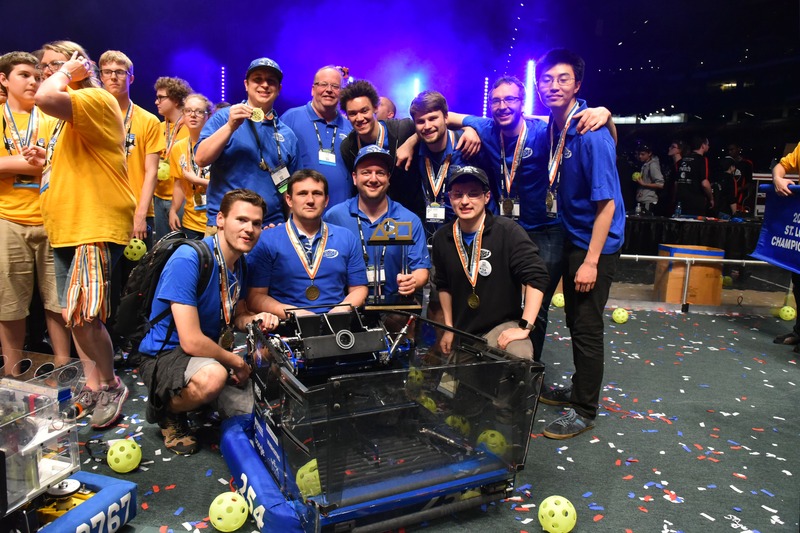 We are so grateful to our alliance partners for playing such a huge role in our success, and to every team that attended the Championship for competing with us and making it such an amazing experience. Special mention to the Einstein teams for going all the way and challenging us in ways we hadn’t previously been. 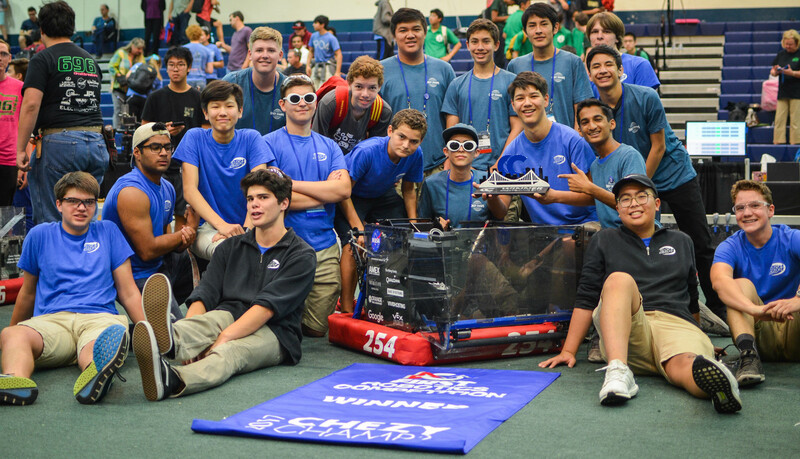 We’re looking forward to facing off against the Houston alliance at the Festival of Champions! 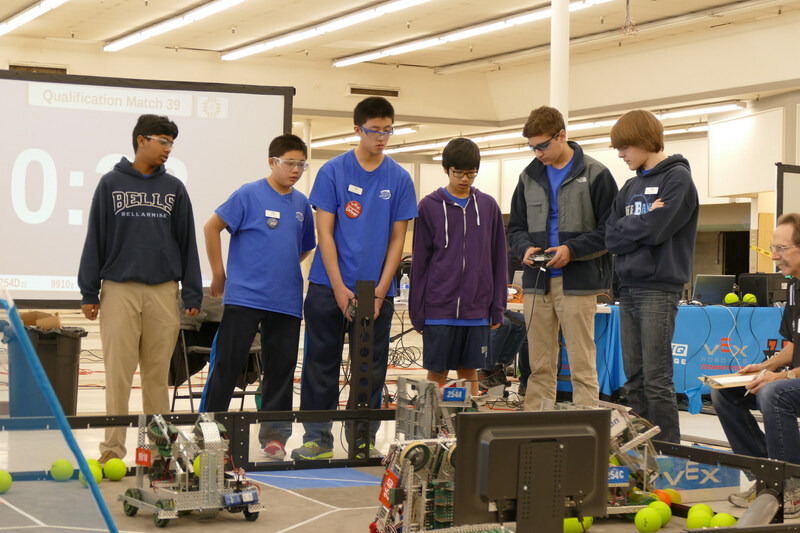 This past weekend, we competed at the San Francisco Regional at St. Ignatius College Preparatory. 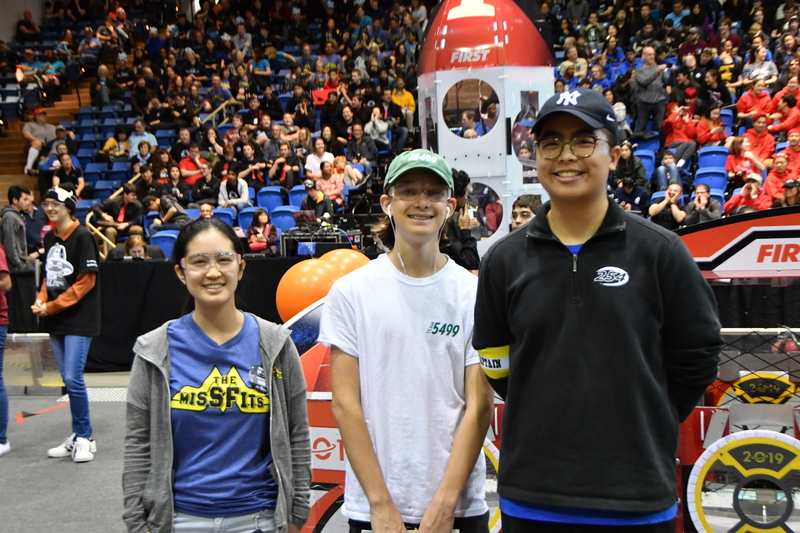 Throughout the qualification matches, Misfire performed strongly, going 10-0 overall and scoring an average of about 277 points. 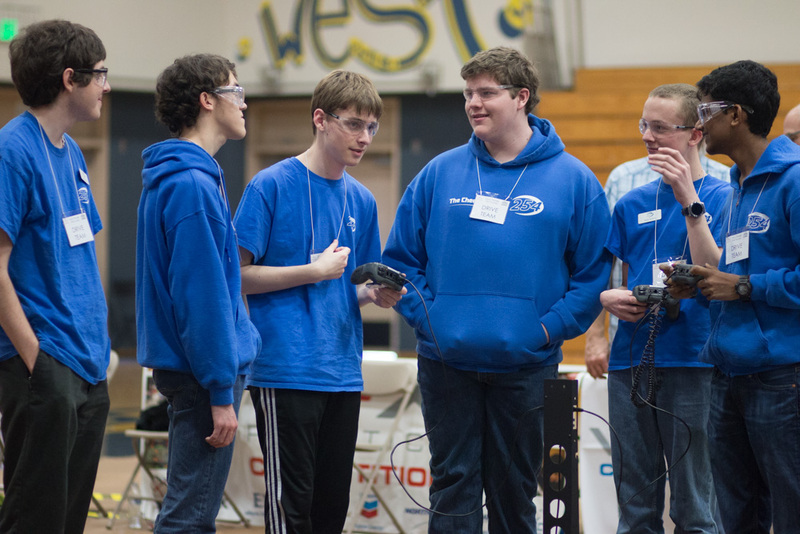 We focused on a strategy of reaching 40kpa to maximize the amount of ranking points we would receive, which worked out as we were seeded first heading into eliminations. 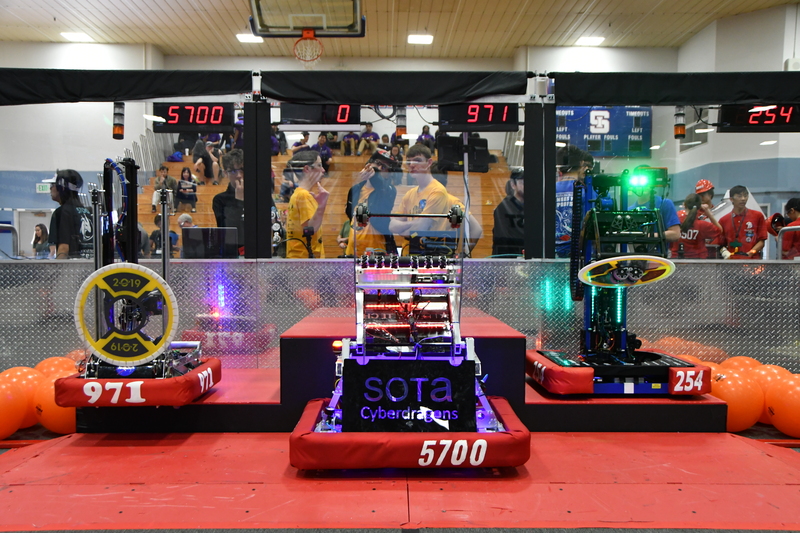 In our alliance, we picked Team 971 “Spartan Robotics” and Team 4990 “Gryphon Robotics.” With this alliance, we aimed to focus heavily on the high goals, hoping to get 40kpa+ in the boiler, 2 rotors spinning, and all robots hanging in an ideal game. We also planned to use defense, having one of our robots block the chokepoint near the gear loading station, hopefully making it impossible to for other teams to score 4 gears. Throughout several exciting rounds, we ended up winning winning the tournament after an intense final match. We also won the Innovation in Control Award and Griffin Soule, our team president, won a Dean’s List Finalist Award. It was a great experience playing against all these teams and we hope to see some of them again at SVR. 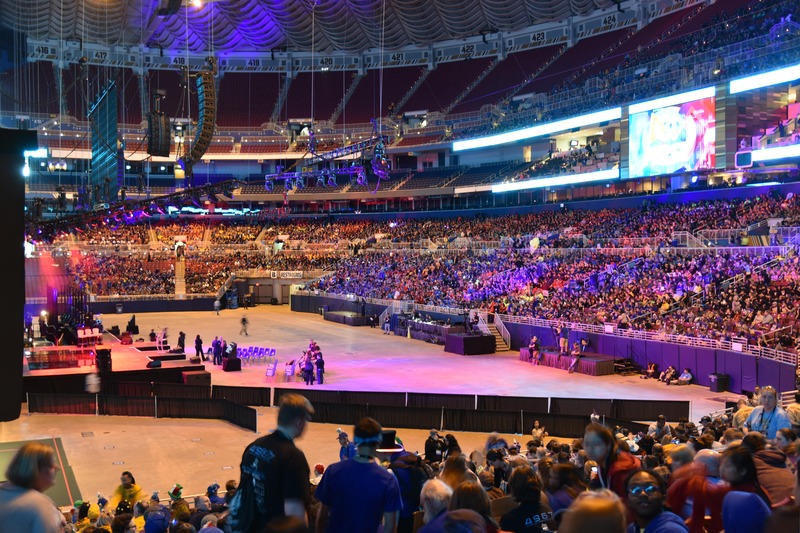 This past weekend, from Tuesday until Saturday, we participated in the FIRST Robotics Competition World Championships in Saint Louis, Missouri. On Tuesday, a smaller group of students left early to set up the pit and make sure everything would be set up for when the rest of the students arrived on Wednesday. 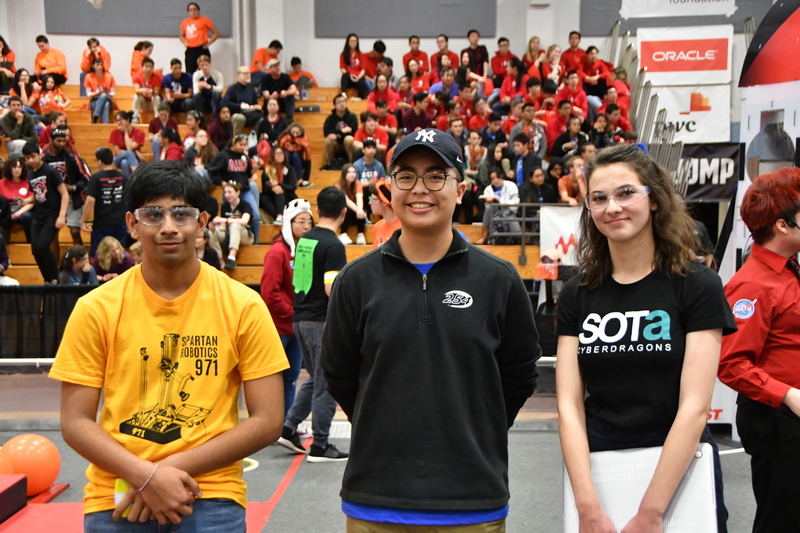 We were placed into the Newton division, and with Team 1241, Team 1731, and Team 708 we played some great games in eliminations, but unfortunately were eliminated in the subdivision finals. On Thursday and Friday, we played 10 qualification matches across both days, and earned 9 wins and 1 loss throughout those games. 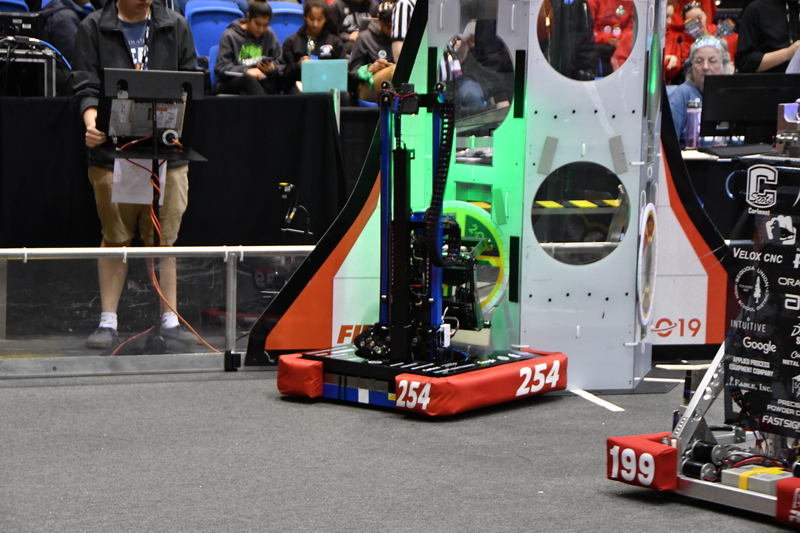 In qualification match 100, we even managed to push a disabled robot onto the batter, securing us an extra ranking point and winning us the game with a final score of 140-139. 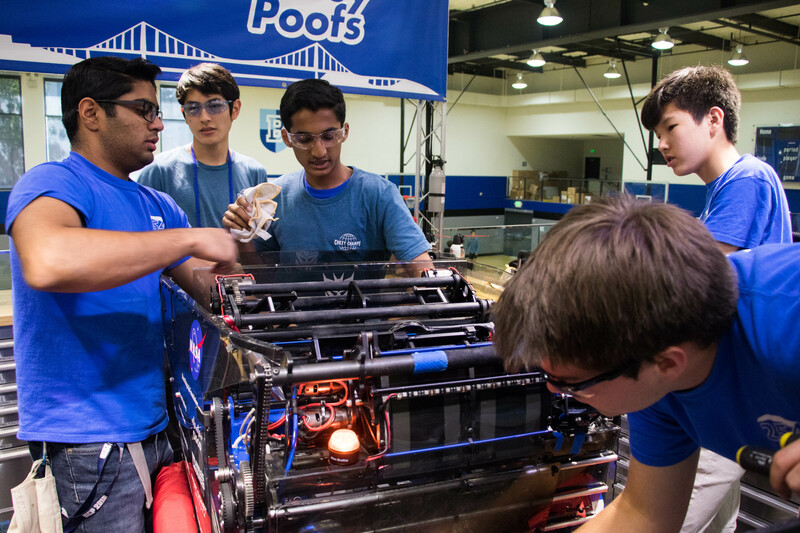 The qualifications overall went well for us, as we earned 35 ranking points and ended up as second seed going into eliminations. 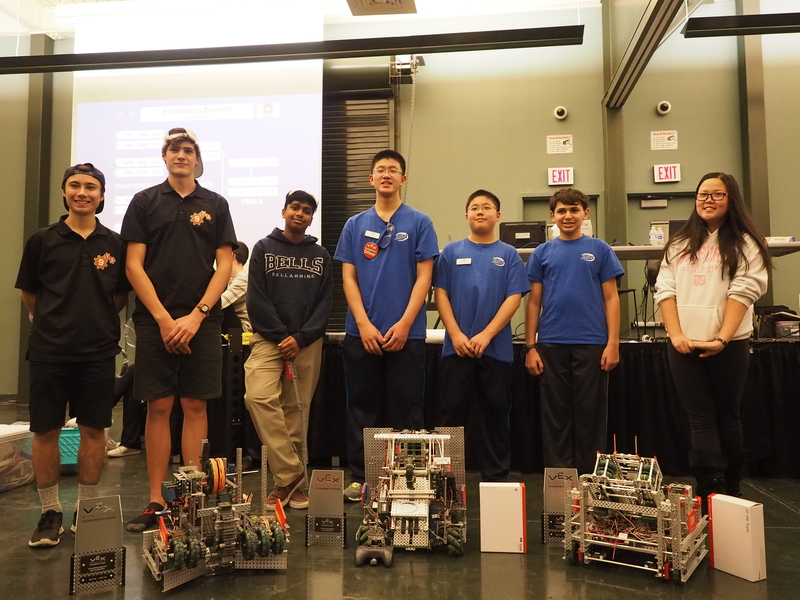 Saturday opened with the alliance selections, and we partnered up with the first seed team, Team 1241, Team 1731, and Team 708. With this alliance we hoped to consistently score highly while preventing the opposing alliance from having free reign on their side of the field. This strategy seemed to work out throughout our quarterfinal and semifinal games, with us scoring around 240 points in most of those games. 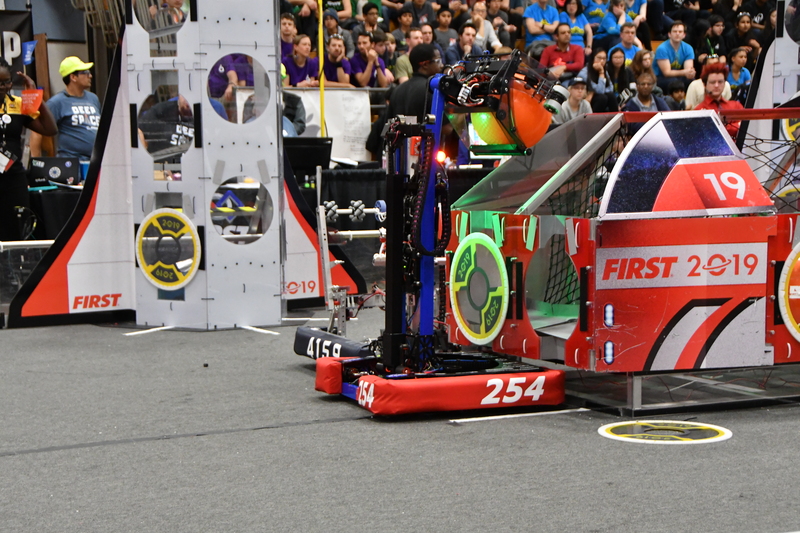 In fact, we scored 254 points in our second semifinals game excluding foul points; however, a red card on our alliance prevented our score from being recorded that game. 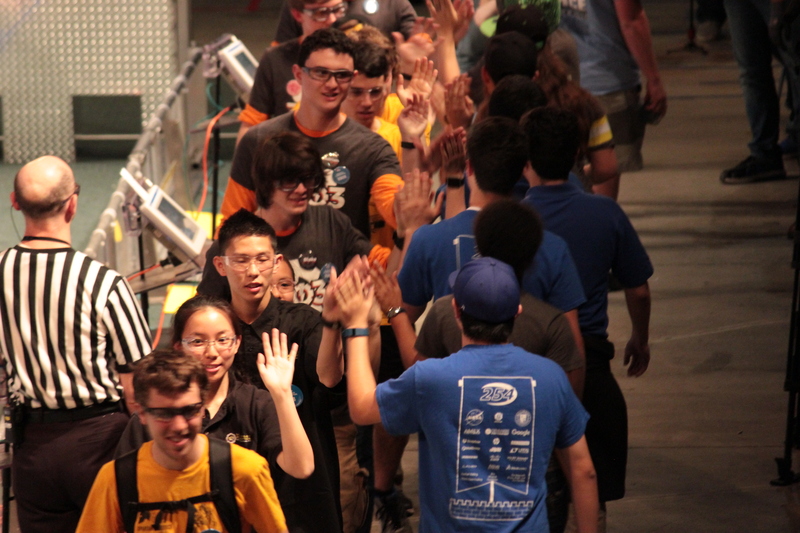 Moving into the finals, we matched up against an alliance including Team 217, Team 4678, Team 3476, and Team 188. Although we played hard, we were eliminated from the tournament in the Newton finals. 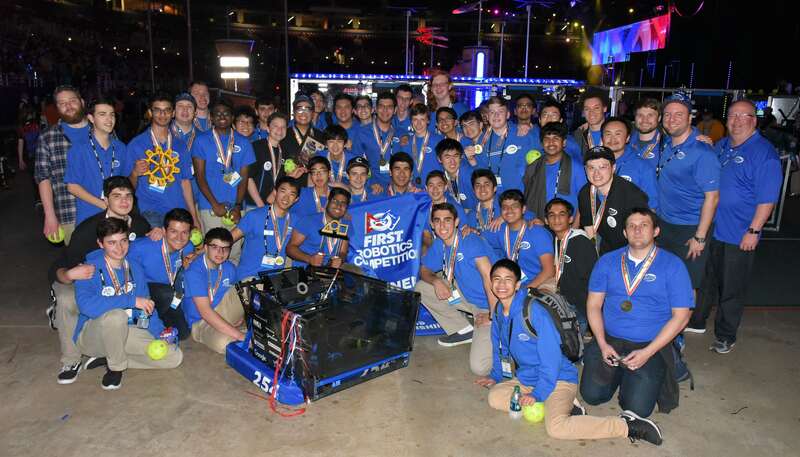 In the end, we would like to congratulate Team 330, Team 2481, Team 120, and Team 1086 for their success in winning the FIRST Robotics Competition World Championships. Additionally, we are proud of Team 987’s achievement in earning the Chairman’s Award, cementing them as a Hall of Fame team. Overall, we are extremely grateful to have had the opportunity to interact and play against many great teams at the Championships and hope to do even better next year. 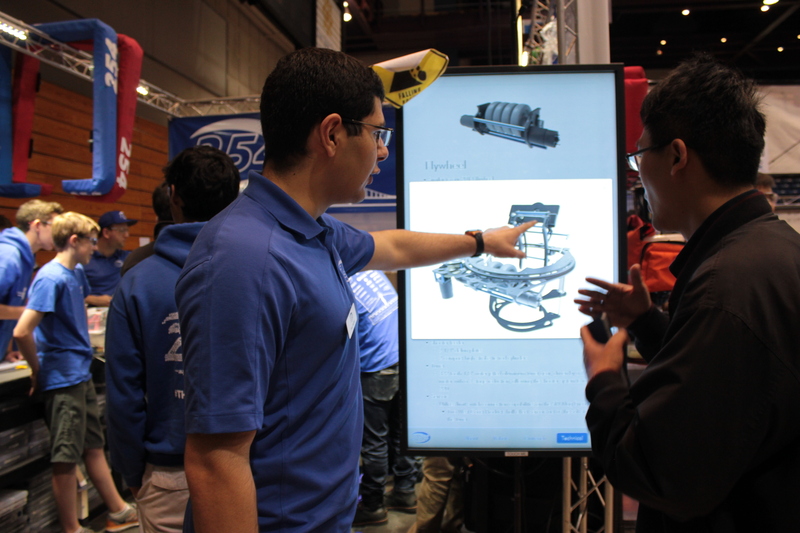 This past weekend, we participated in the Silicon Valley Regional hosted by Google. 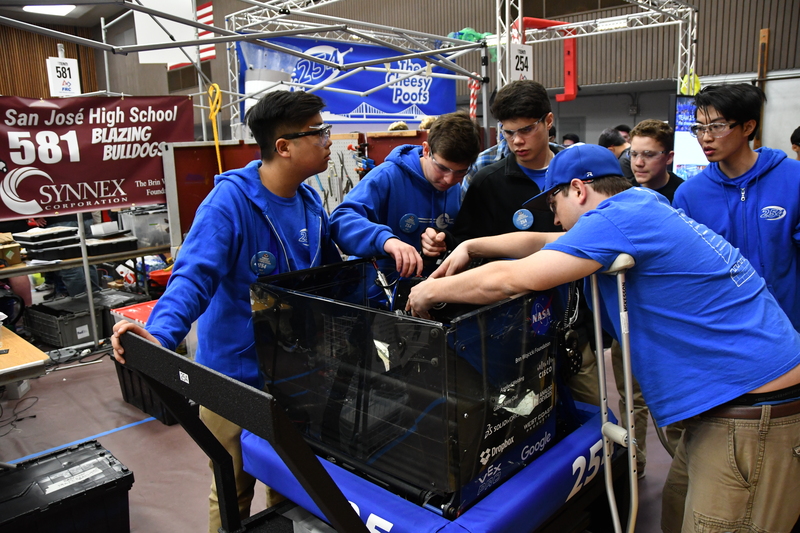 Throughout the qualification matches, the work we put in over the past few weeks payed off as we performed stronger in many areas than we had at CVR. We overall performed well, consistently crossing defenses and shooting high goals from the courtyard while earning a win/loss record of 8-0. 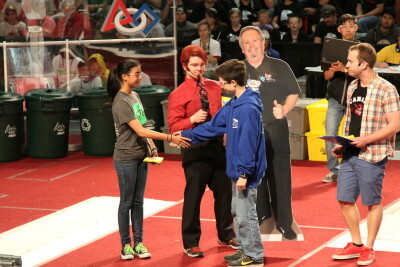 Our success in the qualifications allowed us to place second in ranking moving onto the alliance selections. 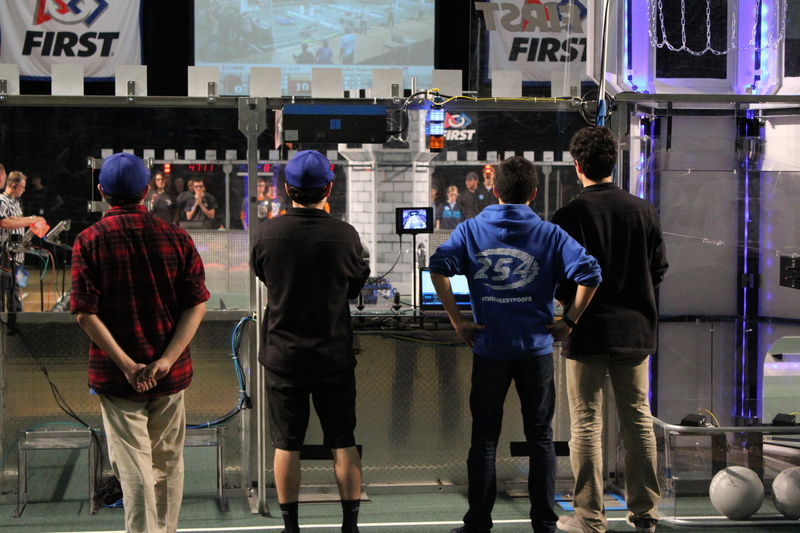 During alliance selection, we went with the first ranked team, Team 1678, and Team 1662. 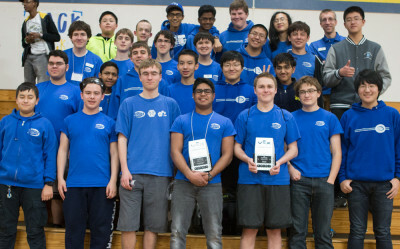 With those teams, we went undefeated throughout eliminations and came out as the regional champions. During our second quarterfinal game, we even scored the highest amount of points in the tournament with a score of 205. Although we didn't win any awards, we were honored to play with such great teams and are looking forward to the upcoming World Championships. Team 254 just returned from the Central Valley Regional. 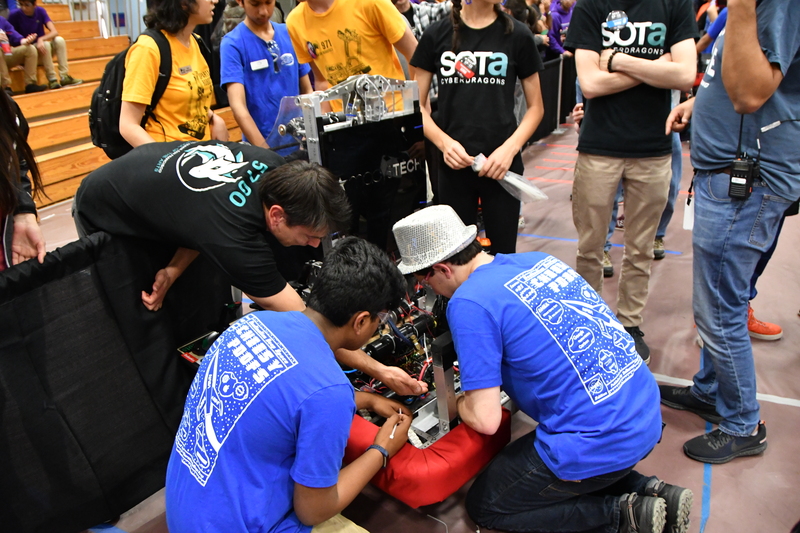 During the Central Valley Regional, from Thursday to Sunday, we competed with a variety of teams from all throughout California. 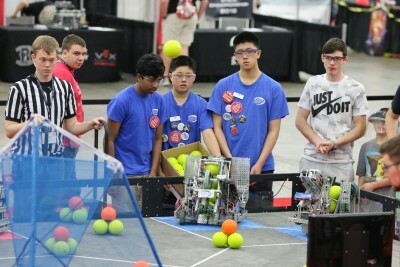 Throughout the qualification matches, our robot, Dropshot, performed solidly, and despite one match with connection problems, it won 9 out of its 10 matches, ranking us at second place for the qualification matches. 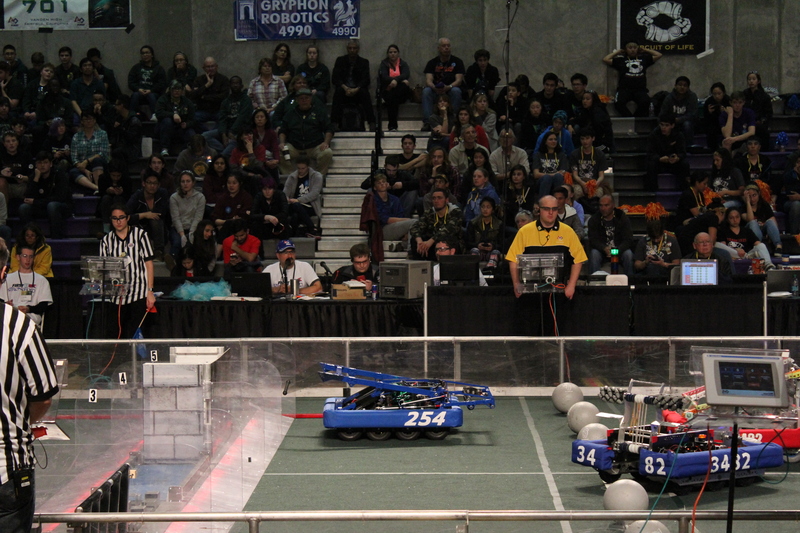 In our second quarterfinal match, we even scored 210 points, the highest score of this season so far. During alliance selection, we joined an alliance with Team 1678 (Citrus Circuits) and Team 3970 (Duncan Dynamics). 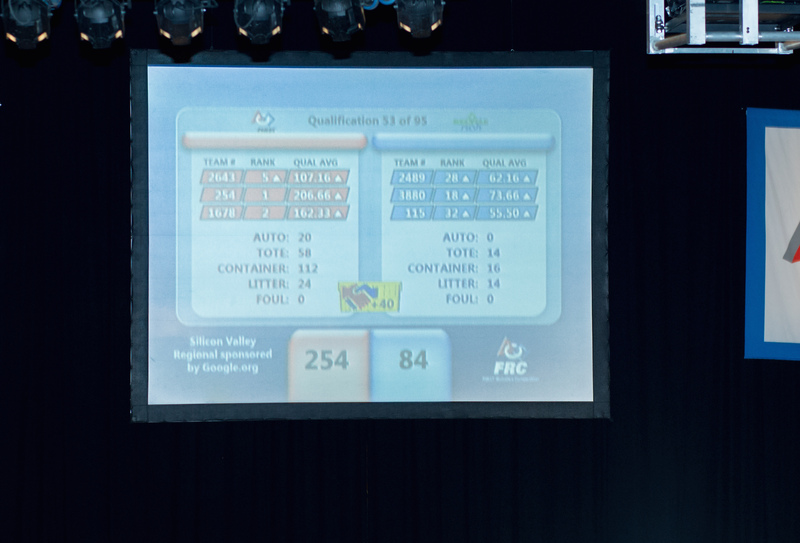 In our second quarterfinal match, we scored 210 points, the highest score of this season so far. We also made it all the way to the finals and won the regional, scoring 205 points in our first finals game. After the exciting finals, we also received the Innovation in Control Award for Dropshot’s targeting system. 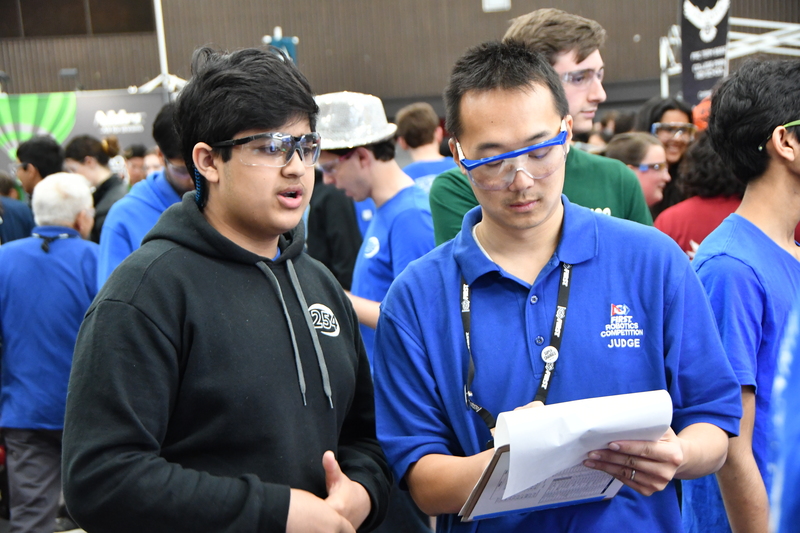 Overall, this tournament was successful for us, but we plan to continue iterating on our designs and improving shot consistency for the upcoming Silicon Valley Regional. 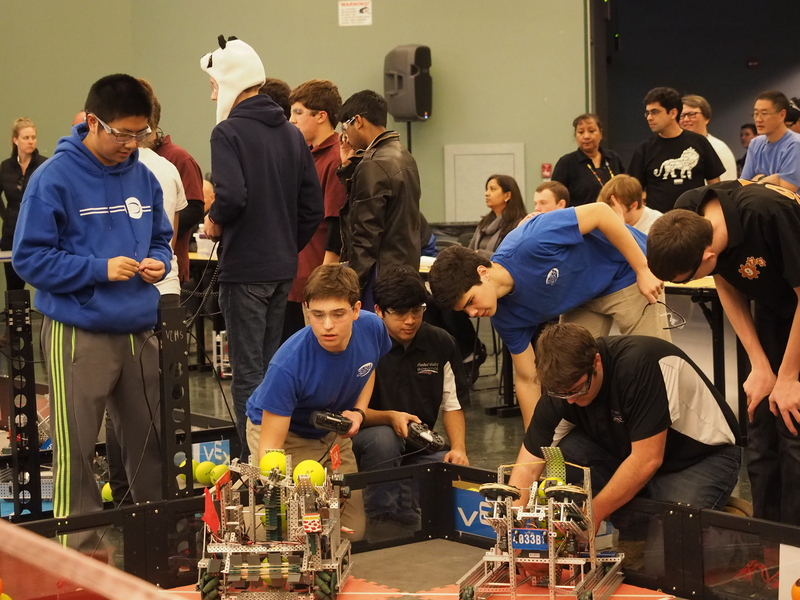 Last Saturday (12/5/2015) VEX teams 254C, 254B, and 254F competed in the 5th Annual Central Valley VEX Robotics Challenge. For all teams that competed, this was their 3rd tournament of the season, so it was a great opportunity to implement changes based on their previous tournaments. Team 254B preparing for an elimination match. Overall, all teams performed very well at the tournament.  Throughout the day, all 254 teams were ranked highly, and were strong competitors. 254B ended the qualification matches ranked 7th, and was invited to join the 3rd seed alliance with teams 973A & 4033B. 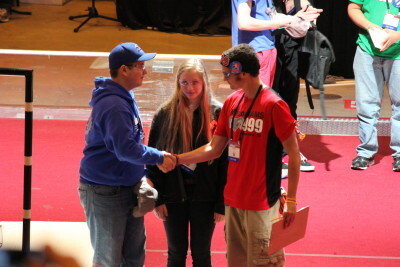 Team 254C went into alliance selection as the undefeated first seed robot, and picked teams 3396 & 973G to join their alliance. 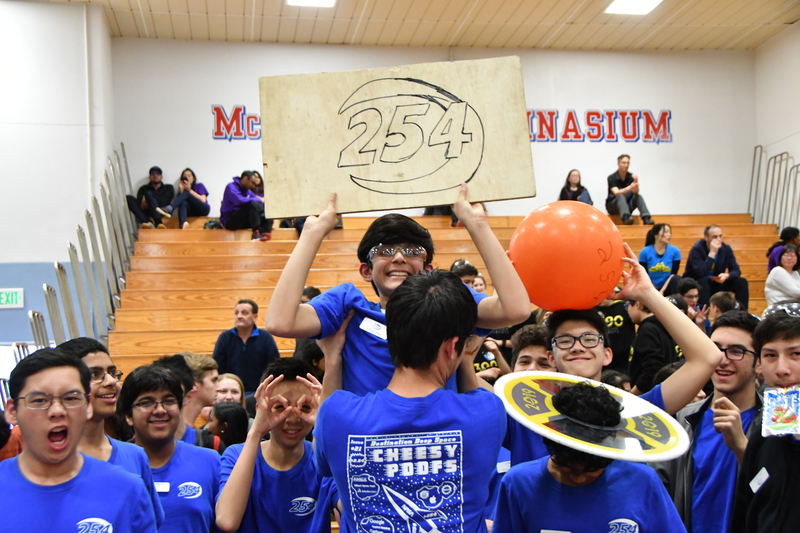 While team 254B unfortunately lost during the semifinals, team 254C was able to win all of their matches throughout eliminations, and ultimately won the tournament. 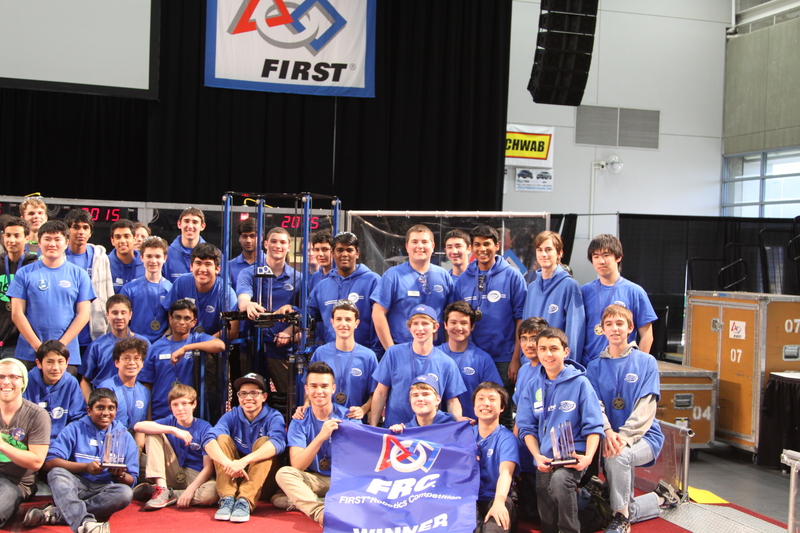 Team 254C poses with their robot, trophy, and alliance partners. Despite not making it into the elimination matches, team 254F impressed the judges with their robot and strategy, and was awarded the Judges Award. 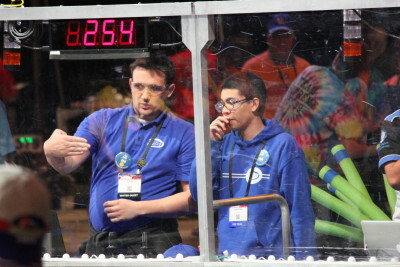 Team 254F & their alliance partners discussing strategy before their match. 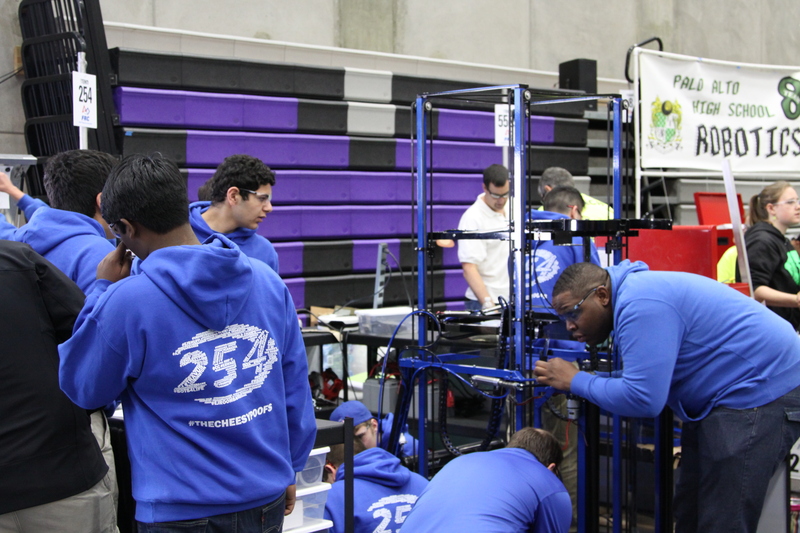 This tournament was a rather successful one for Team 254, and everyone involved learned a lot. 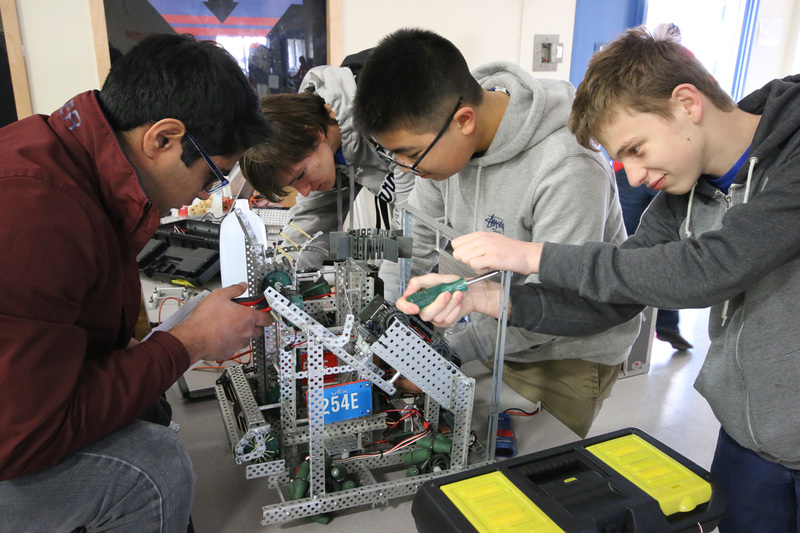 Teams will now return to working on their robots and strategies for the upcoming Willow Glen tournament. This past week, Team 254A and 254D traveled to Louisville, Kentucky, to compete at the 2015 VEX World Championships. 254A competed in the Science Division, while 254D competed in the Technology Division. 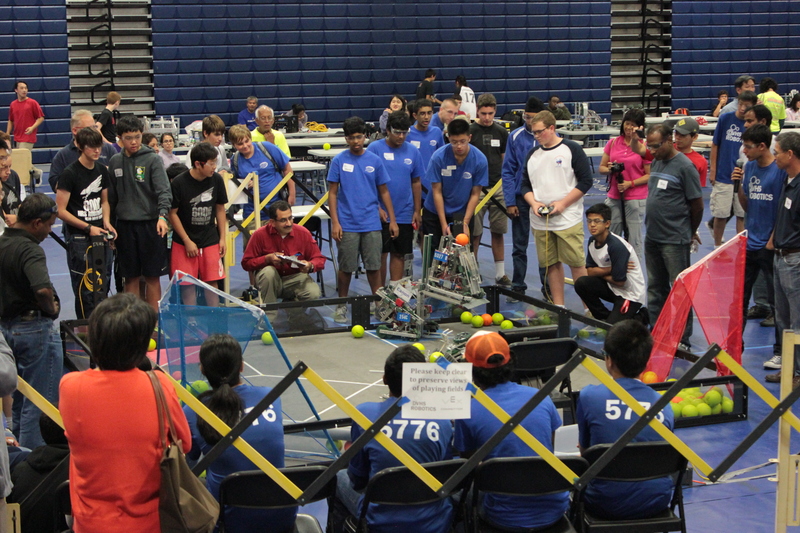 Our teams faced off against top teams from places like New Zealand, Texas, China, England, Mexico, and Bahrain. 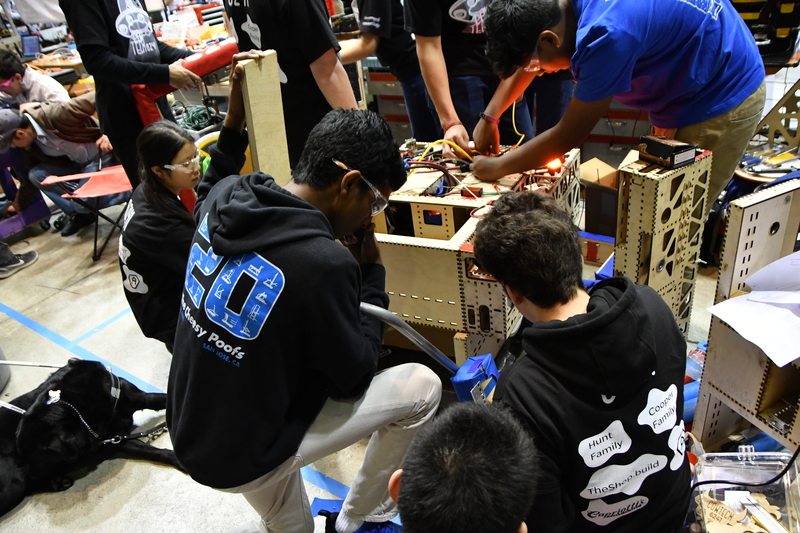 254A experienced numerous setbacks at the tournament on their scissorlift, such as spilling ketchup onto their Cortex and numerous stripped gears and bent axles. 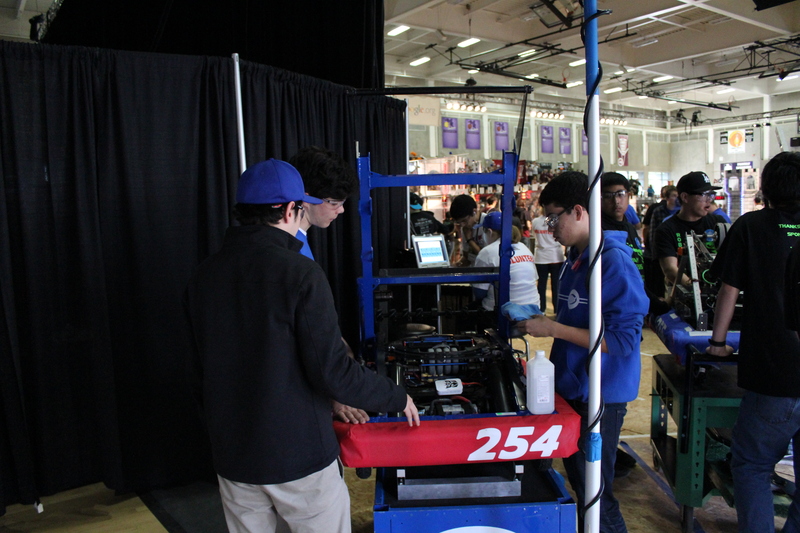 254A worked around the clock to repair the robot, but unfortunately were unable to fix the robot in time for eliminations. 254D did reasonably well, placing 30th in their division, but also unfortunately did not reach eliminations. 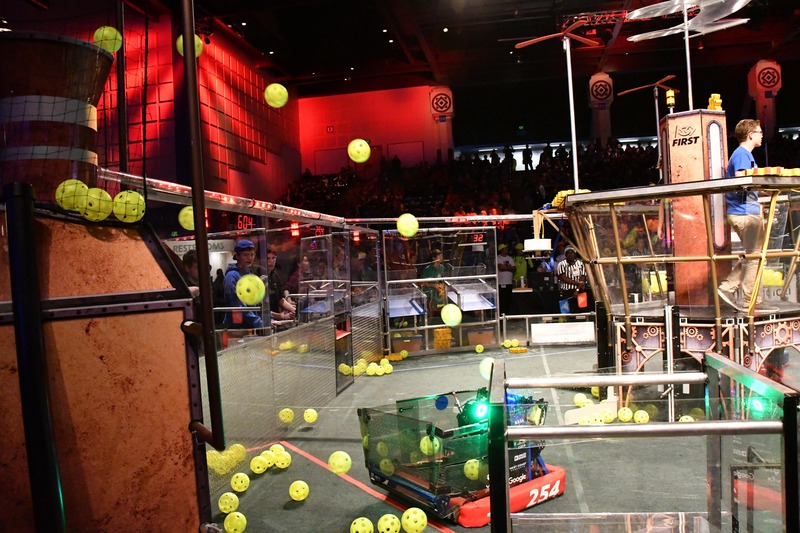 On a happier note, the new VEX game "Nothing But Net" has gotten our team members talking about potential designs to shoot balls into a net, such as flywheels and catapults. 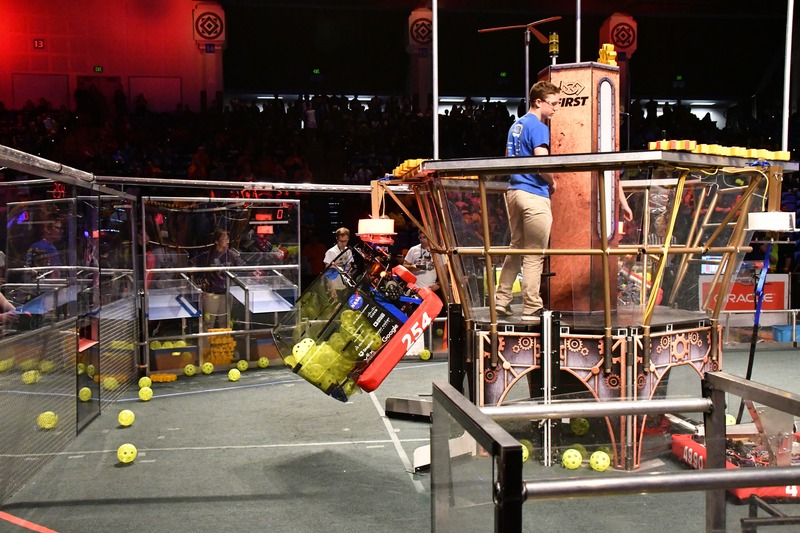 Unlike previous years, for the majority of the match bots cannot lift above 18 inches, eliminating the lifts that have been dominant in earlier games. Louisville was also quite a surprise for our teams. The food in Louisville was a lot better than Anaheim, where the majority of previous World Championships have been held. Our team especially enjoyed the Moelicious BBQ food truck and the hot and fresh minidonuts served at the event. Cracker Barrel was also well-liked by students. We also went go-karting in Indianapolis and relaxed at Dockweiler Beach in LA. 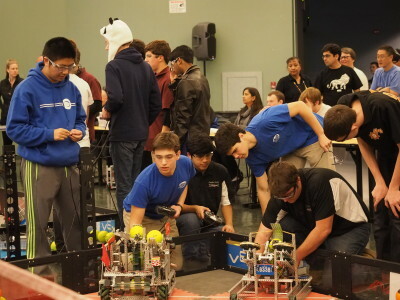 This weekend the team participated in the Silicon Valley Regional (SVR). It was held at San Jose State University in the Event Center. There were teams from Hawaii and even as far as China. Overall we did quite well in the competition. As detailed in the previous blog post, our very committed lead mentor Travis Covington won the Woodie Flowers Finalist Award. 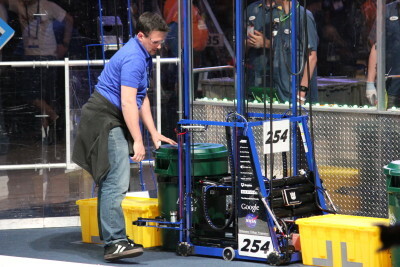 Despite issues with the batteries involving low voltage that are still unresolved, the robot performed extremely well. 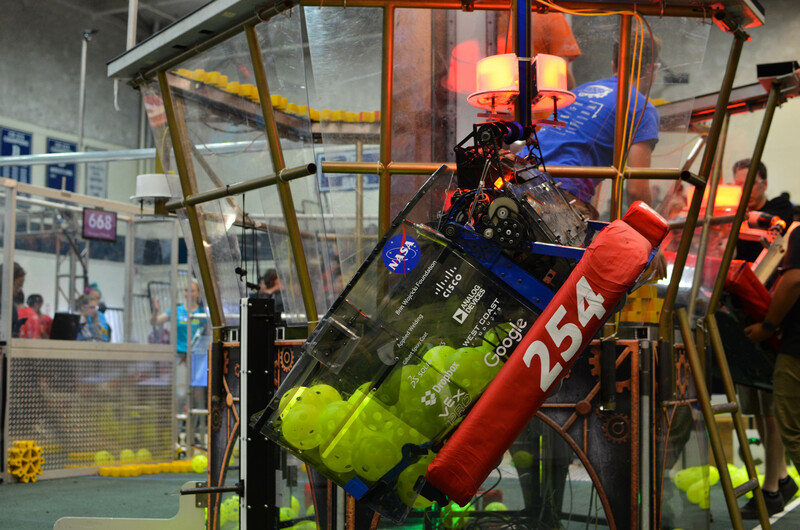 We ranked number one in the qualification rounds, even scoring exactly 254 points one round. 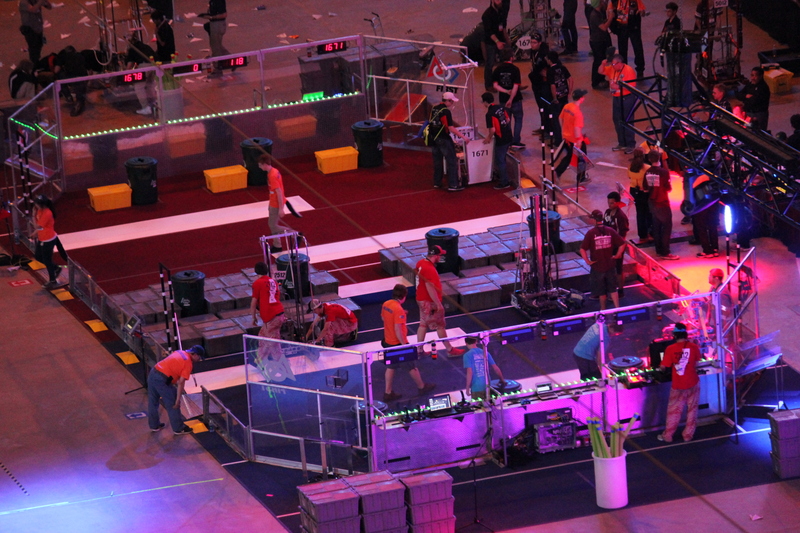 We were in an alliance with team 1678 the Citrus Circuits and team 5027 Event Horizon for all of the elimination rounds. 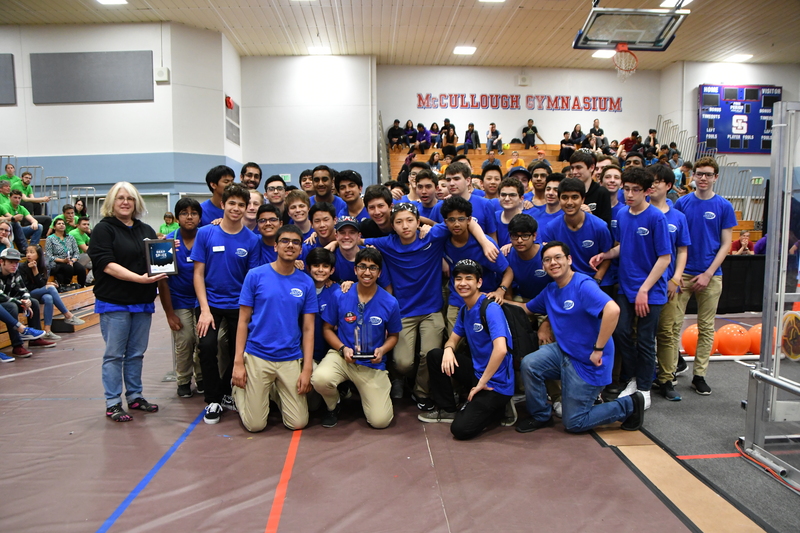 Together with our alliance partners we were able to become the Regional Winners, an honor for which each member of our team received a medal and the whole team received a blue banner. The first round of the quarter finals did not go too well for us because the ramp became misaligned, a stack of totes fell out of our robot and an alliance partner knocked over a stack of totes; however we recovered the next round and ranked as number one in both the quarterfinals and the semifinals and won the finals 2-0, scoring exactly 254 points again in the very final match of the competition! For our robustness in concept and fabrication we were conferred with the Quality Award. 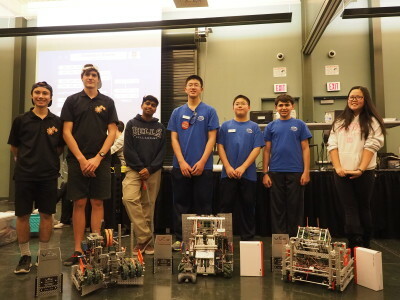 It was a great event, and there were many strong robots, but there are a couple teams in particular who deserve recognition for their especially strong performance. 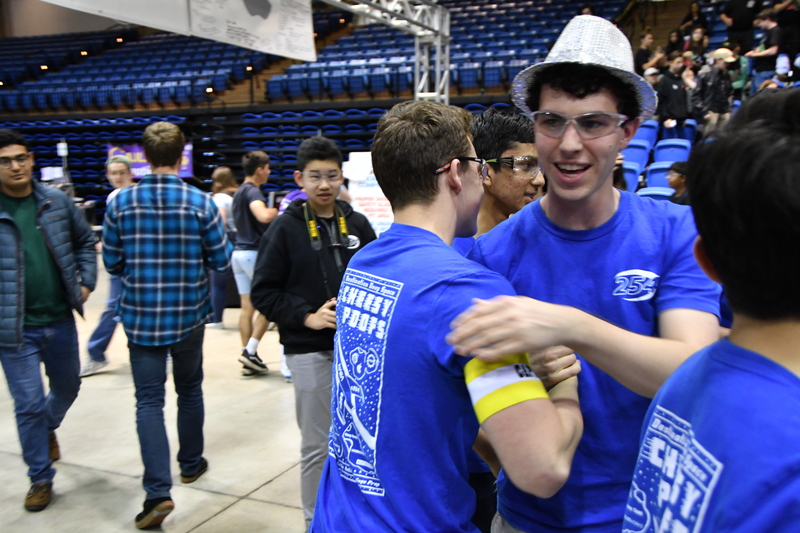 Team 1678, the Citrus Circuits from Davis California, who eventually became our alliance partners, had a very effective robot and also won the Gracious Professionalism Award for exemplifying the core values of FIRST. 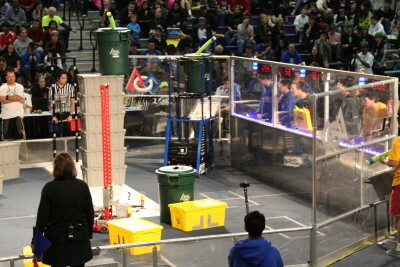 Team 971, Spartan Robotics from Mountain View had a unique but very effective design. They were finalists and received the Excellence in Engineering Award. 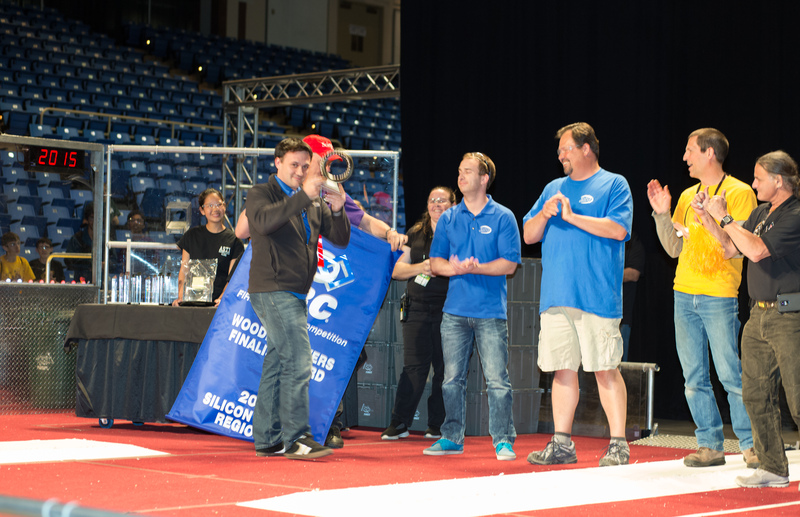 The Silicon Valley Regional was a very well run event, which was for the most part on time, and often even ahead of schedule. Despite the annoyance of not being allowed to bring any food or drink into the event center, it was overall a very positive experience. 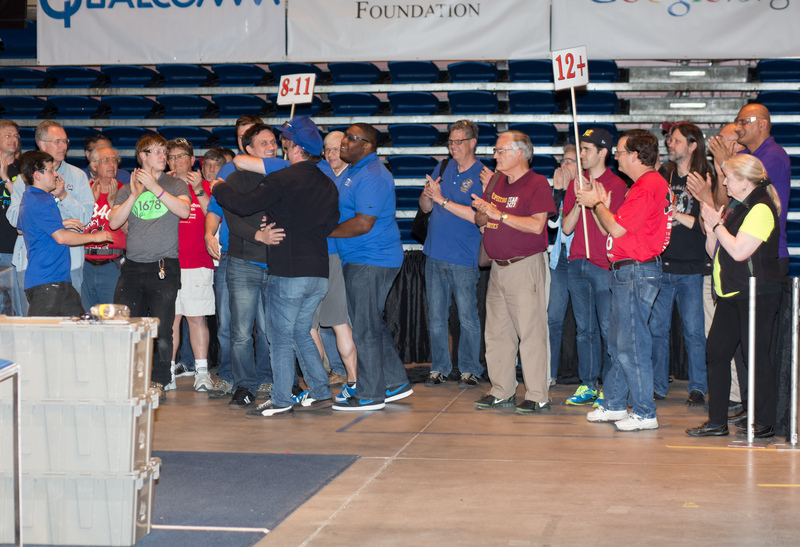 We should all be proud of the accomplishments of both our team and the entire FRC community. 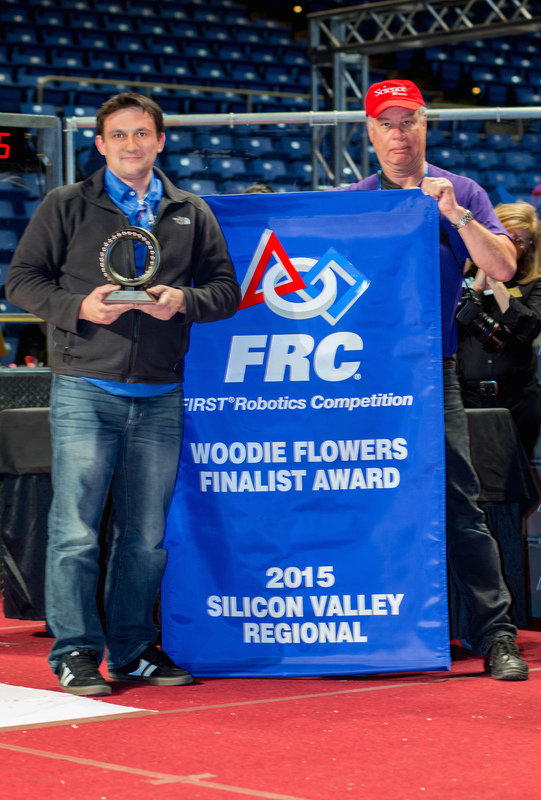 This afternoon, Lead Mentor Travis Covington received the Woodie Flowers Finalist Award at the Silicon Valley Regional! This prestigious award is given to only one mentor at each regional for that mentor's ability to effectively communicate with and inspire students. After nominating Travis for this award for many years in a row the entire team was so ecstatic to see someone so deserving finally get recognized. The students and mentors were cheering as if they had just won the World Championships again! 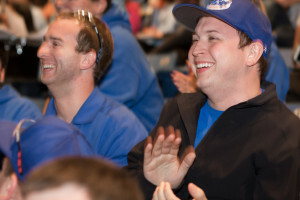 Travis' smile was bigger than ever! 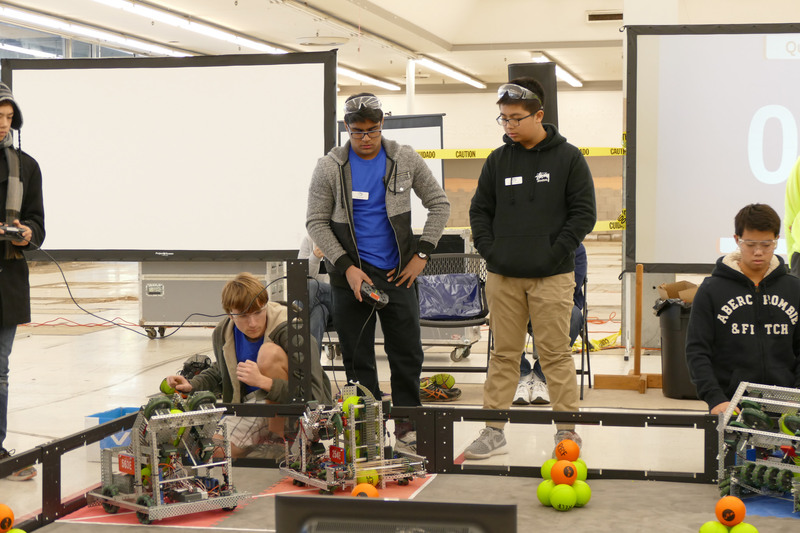 This weekend, from Thursday to Sunday, Team 254's FRC team competed in the Central Valley Regional FRC Tournament held at Madera South High School. 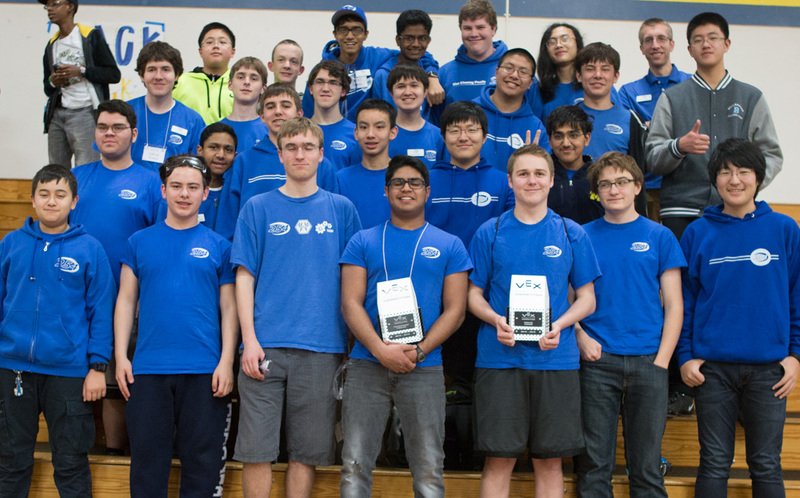 Our team had an extremely strong showing, seeding second place in the qualifiers and taking home first place along with Team 1678: Citrus Circuits and Team 1323: Madtown Robotics. 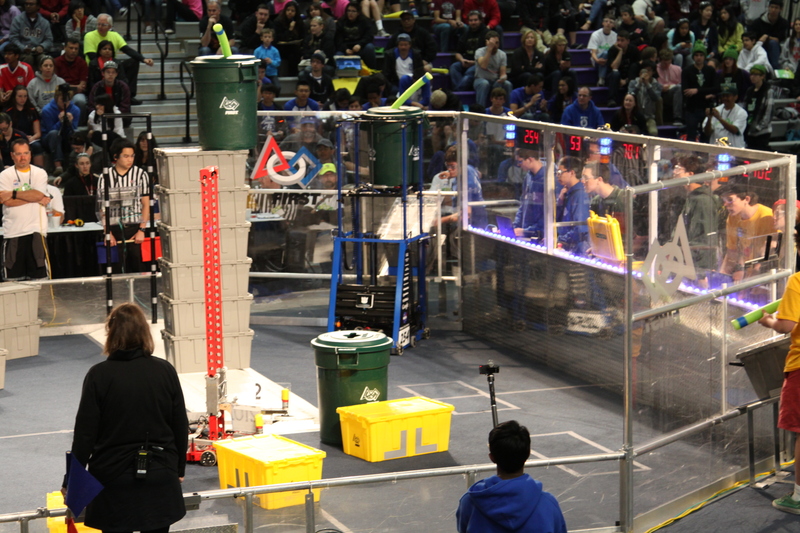 Throughout the tournament, our robot, Deadlift, consistently pulled off the three tote autonomous and stacked up six totes with a recycling bin and litter, scoring 42 points per full stack! 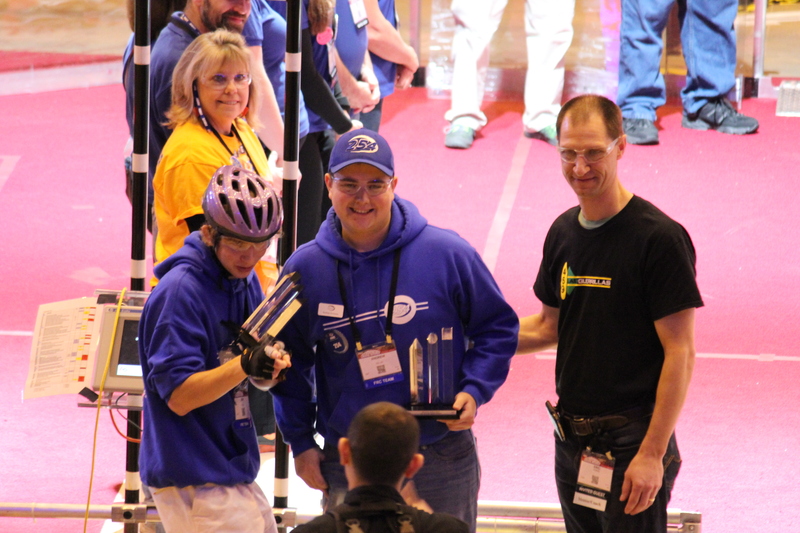 We were also presented the Quality Award based on our robot's overall robustness and quality of design. Overall, this weekend was very successful for our FRC team and we would like to commend every team that participated in CVR this weekend.